One of the things I wanted to do this year was reduce my yarn stash. 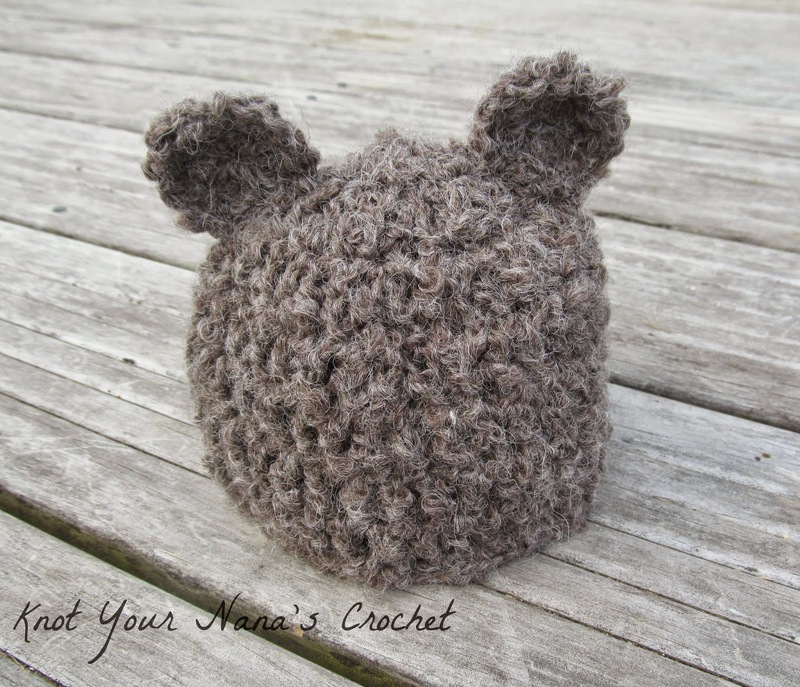 The best way to do this is to use it :) When I found this yarn I just knew I had to turn it into a Bear Hat. 25g, 10 ply yarn. I used Patons New Yorker which is a dicountinued yarn. A good substitute would be Drops Alpaca Boucle or another 10 ply Alpaca Boucle yarn. Gauge: Match the measurements at the end of each round. Circle should measure 4", 10 cm after round 3. Rounds 4-7: Ch 3, dc into each st around. Join to top of ch 3 with a sl st. Round 8: Ch 1, sc into the same st as ch 1, sc in each st around. Join to first sc with a sl st. Finish off leaving a tail for sewing the ears to the hat. 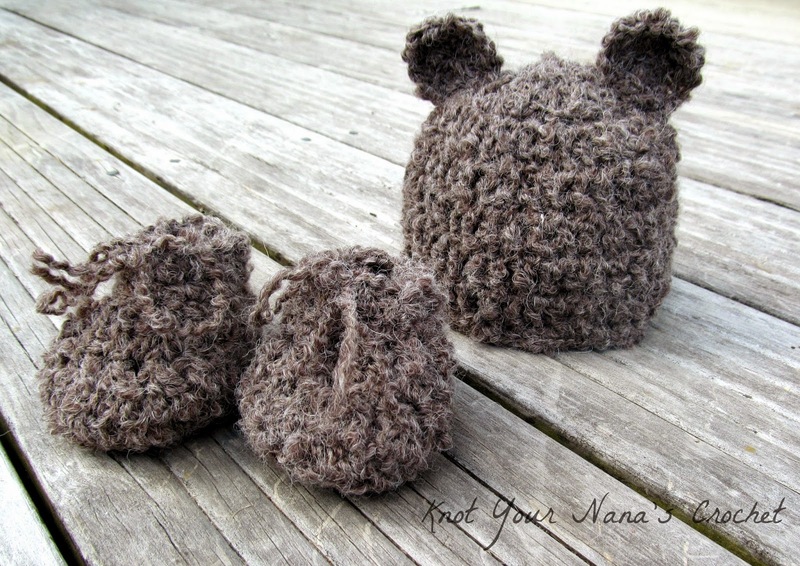 Sew ears to hat. I positioned mine between rows 2-3.